A few days ago I wrote that the ‘worm had turned’ – things were improving on board. Of course, straight after writing that, the worm turned again and bit us on the bum! 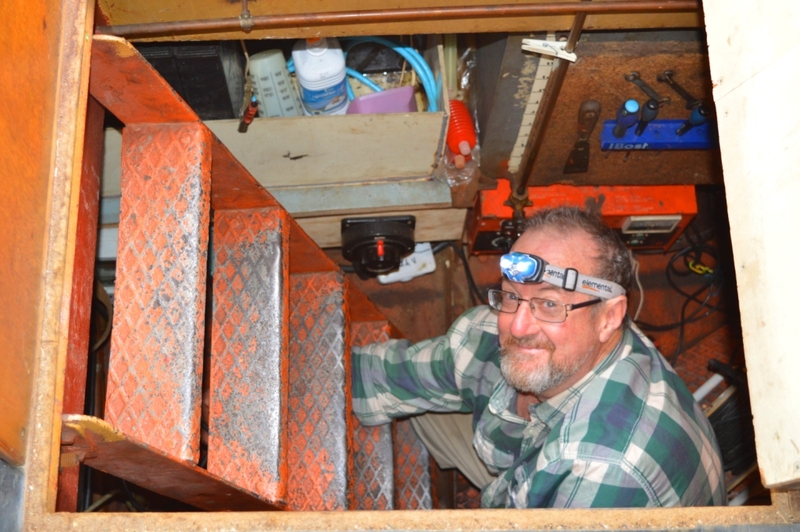 While the new propeller shaft was installed, new rudder bearings, new seacock, new loo hoses, etc – the power ceased to function on board. Our shore-power would not function. Then the battery charger took a holiday and after one filthy, exhausting day, as Noel hopped into the blissful shower – the pump for the shower took early retirement. This caused more than a few maniacal laughs! Today the whole lot is fixed – yes, as we thought it was a simple solution, a corroded plug, a breaker switch and a fuse (yes, all three). 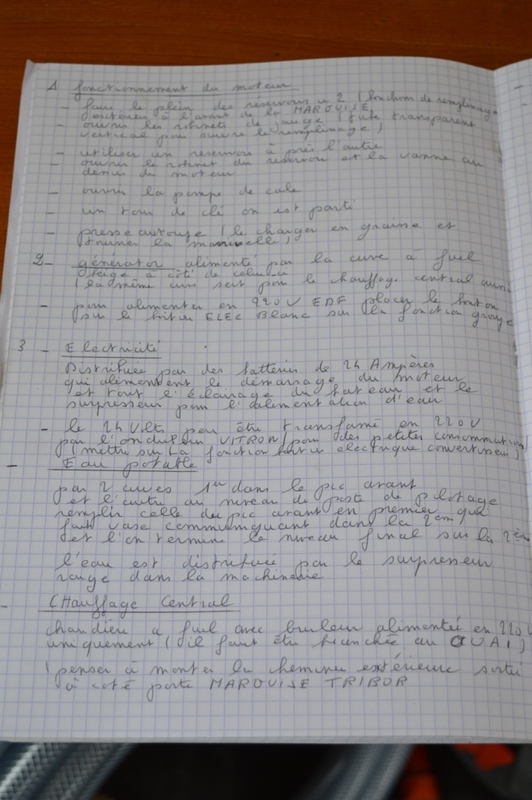 But with French instructions written in worse handwriting than mine (and mine is hideous!) 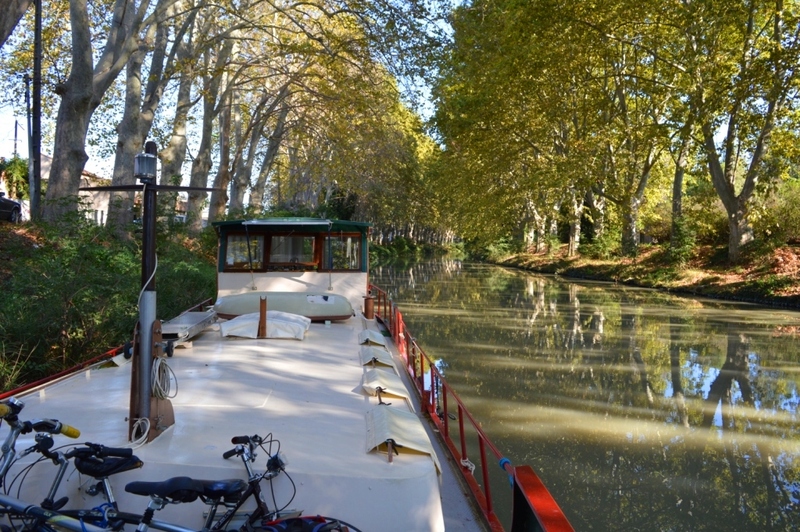 and a new boat & systems to figure out – it was all becoming a bit fraught. The yard has finished their work on the boat – we’ve finished our work (while on the hard), it’s Friday night – whoooo hoooo & cheers! Ah, So little Noely was listening,learning & taking on board [so to speak] all those skills i taught him many years ago.Brilliant. Col.xo.